Arlington, Virginia, doesn't expect its plans to build a new Amazon headquarters to change, even though Amazon has scuttled a plan to build a headquarters in New York. After a yearlong search for second headquarters, Amazon announced in November that it would split its new headquarters between New York and Arlington, with both getting 25,000 jobs. Arlington County Board Chairman Christian Dorsey said county officials spoke with Amazon earlier Thursday. He said nothing has changed from Arlington's perspective, noting that the company's deal with Virginia always included a provision that would allow Amazon to bring up to 37,850 jobs over the next 20 years. Amazon said Thursday that it wasn't looking to replace New York at this time, but planned to continue hiring in other offices around the country and Canada. Dorsey said the county would be able to accommodate that many Amazon jobs in its Crystal City neighborhood, and that county planners had long anticipated that kind of influx, whether from a single company like Amazon or a host of companies. The neighborhood, which is adjacent to the Pentagon, lost tens of thousands of government jobs a decade ago under a realignment of military facilities. "We are moving forward as we had planned," Dorsey said. "Nothing has changed." On the streets of Queens, reaction to Amazon's decision to cancel its headquarters differed among the residents and local businesses. Andrew Ousley, a resident of one of the new rental high-rises near the site Amazon had considered, applauded Thursday's news. "An entire generation will look back at these last few months and ask us why," he said in a statement. "I hope those that opposed this Amazon deal have the answers to what we lost today. 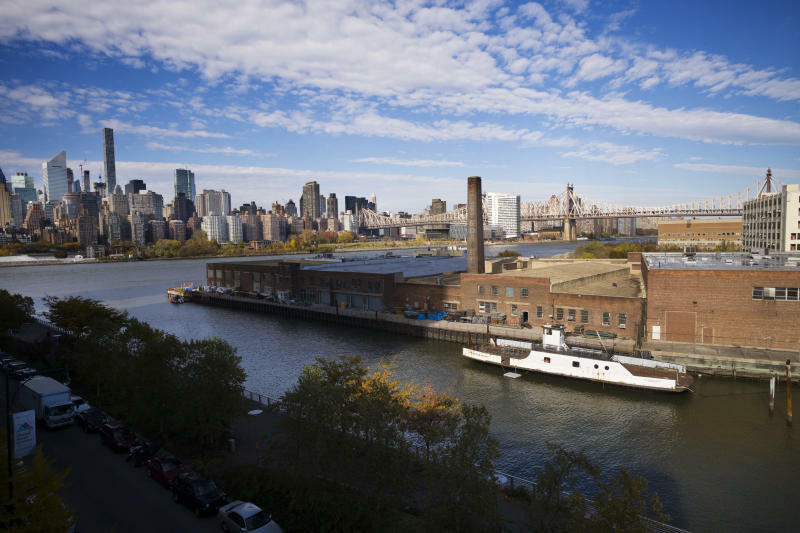 Queens is one of the best places for a tech firm — for any forward-looking business — to expand into, with our diverse talent pool, entrepreneurial spirit, thriving arts scene and boundless energy. It is a shame to lose the opportunity, investment and jobs that Amazon offered, but there are many more ways for businesses in Queens to thrive, and we will be welcoming them with open arms." Amazon's stunning announcement to abandon its proposed campus in Long Island City came just two days after the Cuomo administration's economic development czar repeatedly praised the deal during his three hours of testimony before a joint legislative hearing in Albany on the governor's $175 billion state budget proposal. 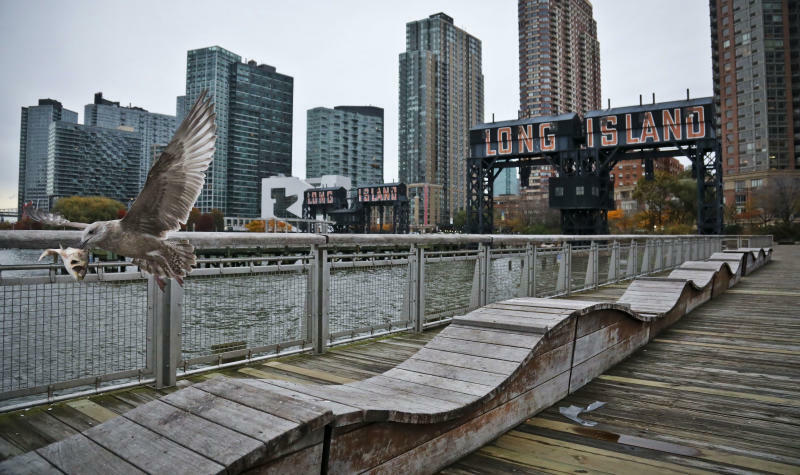 Several members of the Senate and Assembly voiced skepticism about the state and city incentives that initially convinced Amazon to choose Long Island City, questioning economic development Commissioner Howard Zemsky about its cost for taxpayers. He responded by focusing on the number jobs and the billions in tax revenues the project was expected to generate over the next two decades. "There's nothing we can equate this to in the history of the state," Zemsky said Tuesday. "It's the largest economic development prize we've ever had." Amazon's decision to cancel its planned headquarters in Long Island City reflects poor planning by both the company and state leaders, a leading business location consultant said. Tom Stringer, managing director at BDO Consulting, said that neither the company nor the state reached out sufficiently to neighborhood leaders to win them over. "Both of them really did an awful job," Stringer said. Not having local officials "in the process early on is really mind-boggling to me." The collapse of the deal won't hurt the city's economy, Stringer said, because it is already doing well and the project hadn't moved forward yet. But it damages New York City's reputation for getting deals done, he added. Mayor Bill de Blasio issued an upbeat statement on Amazon's decision, noting that New York City will thrive no matter what. "You have to be tough to make it in New York City. We gave Amazon the opportunity to be a good neighbor and do business in the greatest city in the world. Instead of working with the community, Amazon threw away that opportunity," the mayor said. "We have the best talent in the world and every day we are growing a stronger and fairer economy for everyone. If Amazon can't recognize what that's worth, its competitors will." Meanwhile, Governor Andrew Cuomo, who had championed Amazon's plan, had yet to comment on the decision. An indication that Cuomo was growing concerned over opposition to the Amazon deal and reports of the company having second thoughts was evident in comments he made during an interview Tuesday with a New York City radio station. "I don't think they're bluffing. I think this is very serious," he then said. Jimmy Van Bramer and other members of the City Council had tried unsuccessfully to get Amazon officials to agree to remain neutral in the face of any potential union drive. Van Bramer said on NY1 that he believes Amazon feared the possibility of a successful union drive in New York: "They knew that their anti-union, their virulently anti-union position here was not tenable here and if they caved here then they would face rising pressures all across the country and the world to allow their workers to organize." George Miranda, president of Teamsters Joint Council 16, said, "We are committed to fighting for the rights of workers throughout the Amazon supply chain and supporting their demand for a voice on the job." City Council member Jimmy Van Bramer criticized the secretive process by which the deal was negotiated in an interview on NY1. The council man represents Long Island City, where Amazon was to have located one of its headquarters. "When you talk to everybody involved, when you consult with everybody involved, and when you respect local elected officials and local communities, you are far more likely to have a different outcome than when you intentionally and purposefully exclude everyone from knowing any details of the deal and then leak it to the press so that myself and Sen. (Michael) Gianaris and everyone else had to read about it in news reports — when you do that, if you start off like that, you're behind the eight ball already." Deborah Axt, the co-executive director of anti-poverty group Make the Road New York, called Amazon's withdrawal a "landmark victory." "This announcement ... shows the power of the people, even when taking on the world's richest man," Axt said. 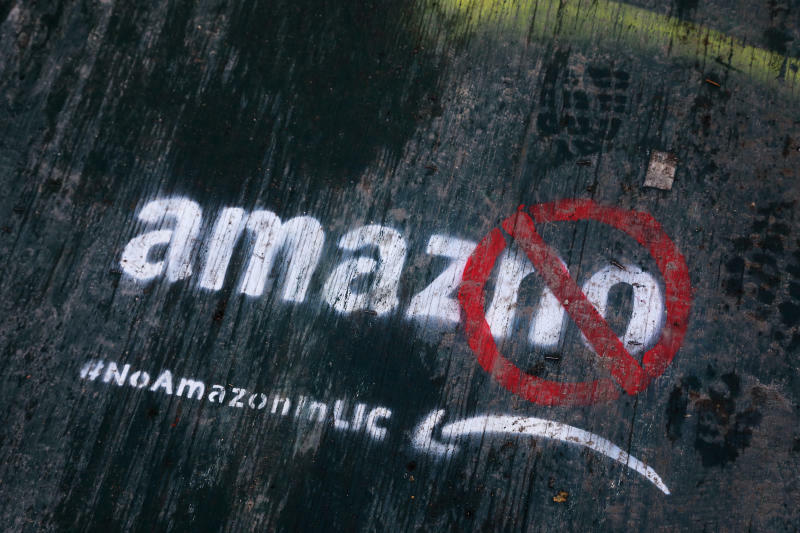 "Our members and allies stood firm against Governor Cuomo's plan to give away more than $3 billion in taxpayer giveaways so that Amazon could force its empire-building on our neighborhoods. The online retailer has faced opposition from some New York politicians, who were unhappy with the tax incentives Amazon was promised. Amazon said Thursday it does not plan to look for another location, and will continue to build out offices in Arlington, Virginia, and Nashville, Tennessee.